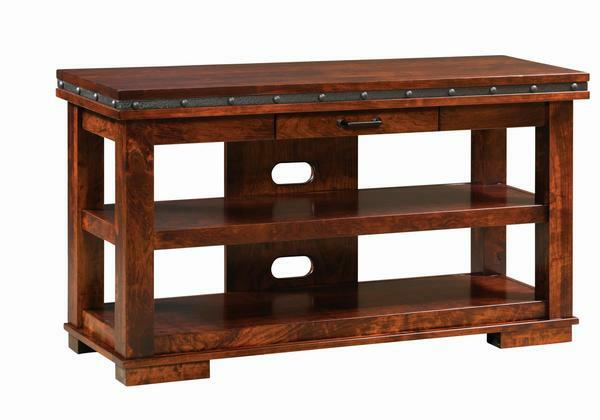 For your contemporary sensibilities with an industrial touch, we present our Amish Pasadena Open TV Stand. The open design of this media console stands out with its sturdy construction that includes a 1-inch thick top, post legs, two shelves, a fully-extending drawer, and steel band with buttons accent. This living room or office accent can be made from a variety of wood and finish options.